This text was published on the Kettles Yard website (where it's still available), for the duration of the show the work could be viewed online day & night via a live link. During the Edes' residence at Kettle's Yard the only room in the house not open to the public was Helen Ede's bedroom, which remained a private space. When the Edes left Kettle's Yard, Helen's room was opened up and hung in the tradition of Jim Ede's aesthetic. Back in 1995 I rearranged Helen Ede's bedroom. Public access was once again suspended, this time by installing a transparent screen in the doorway. 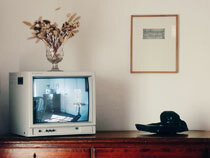 A video camera that was out of sight of the viewer relayed a live signal to a television set that was placed on the chest of drawers facing the door. (During Jim Ede's time TVs were not allowed in the house). The image seen on the television monitor moved slowly around the room, looking up and out of a window on the right, showing parts of the room not visible to the viewer from the doorway. It was a seamless sequence of movements that came from a camera mounted on a pan and tilt head, which was controlled by an especially commissioned box programmed to my precise specifications. 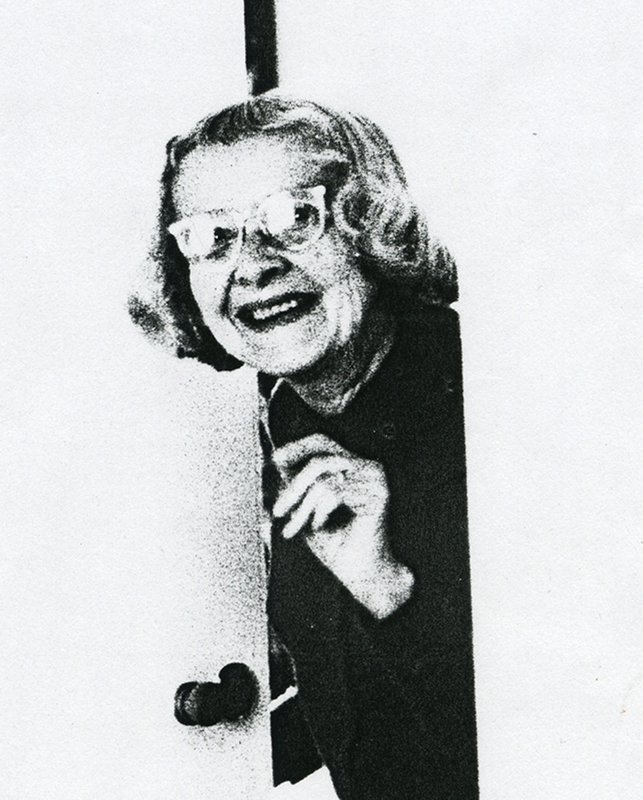 The slow deliberate trace of the lens across the compact bedroom was intended to invoke a sense of the presence of its former occupant Helen Ede. Invited to recreate 'Helen's Room', in 2009 for 'Upside Down/Inside Out', it was striking to look at how much the technology used in the work had changed in fourteen years. Before I had deliberately blurred the boundaries between inside and out, private and public using the actual space, the camera and the monitor. Now the work could be placed on line, with a representation in virtual space, further underlining the technological framing of the work. The gallery arranged sponsorship with A.D.T. the security company that protects Kettle's Yard. I reinstated Helen's bedroom, and when the engineers arrived, we had the same ingredients for the work as in '95, i.e. 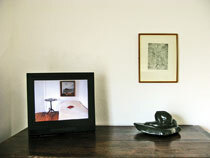 the room and its objects, a computer controlled camera and a monitor. With the brand new pan/tilt domed security camera, specifically designed for speed and a sharp picture (attributes almost opposite my requirements), and a high definition flat screen monitor, we were equipped to track and pinpoint any crook caught in view -; the challenge for me was to catch something of the original softer human gaze. So we attempted to mimic the 1995 version. Using a laptop, the camera and operator tracked a recording of the original work. But the outcome looked very different ... gone was the impression of a pensive view out through the window to the cherry tree in the graveyard, and gone was the floating abstracted view of the empty ceiling. The 21st century technology not only framed the work but also reframed it. The new angle from the camera lens making for a sharper more restricted view, together with the merciless clarity of the High Definition monitor the work speak now more of the technology of how we survey, the eye of the machine rather than of the individual. The resulting work is a paradoxical reinterpretation of the 1995 installation rather than a recreation. Acknowledging this shift, I re-hung the pictures and rearranged the objects to 'fit the screen'. "She's not here" ... they looked at me quizzically. I added, "I think she's left the building." "Its about time." they replied, "It's been 36 years!"